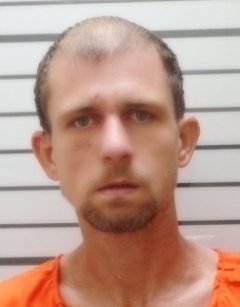 Jonathan Reed Wray, 36, of Muskogee is charged in Muskogee County District Court with allegedly assaulting an emergency medical worker who was trying to draw his blood after a reported assault. Wray was being worked on by medical personnel when police arrived at the scene, 300 Rockefeller Dr. (the Saint Francis emergency room), on Oct. 11 at around 5:15 p.m.
Jason Garner, a medical staffer at the hospital, was attempting to draw blood when Wray is alleged to have head-butted him on the left side of his face, according to an affidavit filed with the case. Wray allegedly told Garner he had “already tried fifteen times” to draw blood, but a security guard in the room said Garner was on his second try at the time. Wray has a long criminal conviction history, including second-degree robbery, assault and battery on a police officer, domestic abuse - assault and battery (second or subsequent offense), assault with a dangerous weapon and multiple drug and other arrests.